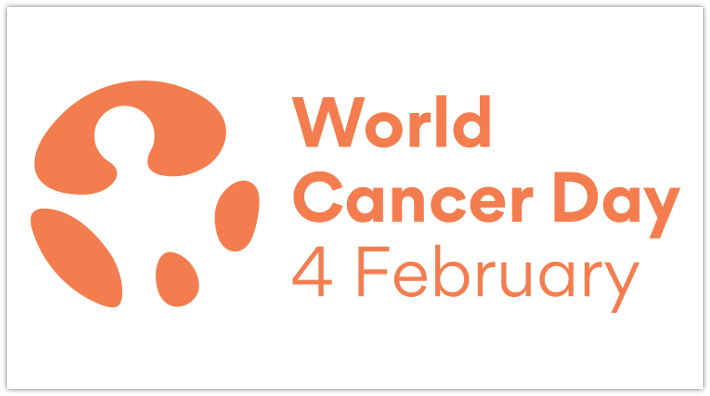 Happy World Cancer Day, everyone! Did you know that, in the world, 17 people die every minute from cancer? Did you know that one woman dies every two minutes of cervical cancer? Do you know someone who has been touched by cancer? Many people know at least one person, whether it’s their family member, friend, or someone else who has the disease. Since cancer affects everyone, we celebrate “World Cancer Day” on February 4 of every year and ensure that no one is left behind when it comes to getting adequate healthcare. World Cancer Day is the perfect opportunity to end injustice of preventable suffering from cancer and to ensure that everyone has proper treatment, regardless of their socioeconomic background. Maria says that she’ll die from cancer just like her cousin. Beth, with her red hair always in two braids, doesn’t yet know that her mother is diagnosed with ovarian cancer. It was my first time seeing children so vulnerable. My first volunteer experience of helping those afflicted with cancer was as a camp counsellor at Gilda’s House, an organization that supports children touched by cancer. Through the experience, I learned that cancer is not merely a disease; it is a life-wrenching reality for millions of people across the globe. Moved by what I saw, I considered additional ways I could help people affected by this disease. In grade nine, I volunteered with Canadian Cancer Society and became an event coordinator for Ovarian Cancer Canada’s Walk of Hope. I am proud to have played a role in growing the event to one that attracts over 700 participants who collectively raise over $6 Million annually. Over the past three years, I’ve helped with entertainment, sponsorship, and outreach, and have advocated for additional funding by writing to my Member of Parliament, Leona Alleslev. Additionally, I have acquired sponsorship funding from: Amazfit, Chipotle, Panago Pizza, Whittamore Farm, Circling Hawk Farm, Rouge River Farms, Felix and Norton Cookies, Yogurty’s, and Kernels. I have also recruited volunteers and helped secure a feature article that appeared on the front cover of Snapd magazine. This involvement was especially rewarding when ovarian cancer survivor, Vivian Ibishian, spoke at the event this year. She said that without the support of Ovarian Cancer Canada, she may have lost hope in fighting her stage-four tumor. As she spoke, people in teal t-shirts were moved to tears. Cancer tears people and families apart. However, through the efforts of organizations such as OCC, we can bring them back together. As you can see, community is very important in combatting cancer. When one is in a supportive community and is equipped with the high-quality medical treatment, one can have more faith and be more successful at conquering this disease. As such, the theme for this year’s World Cancer Day is “I can, we can.” Everyone has the capacity to contribute to and address the disease burden. Together, we can reduce cancer risk factors, overcome barriers to early diagnosis, treatment, and care, and ameliorate cancer control to save even more lives. What are some methods used for cancer treatment that you find captivating? Why are they so interesting to you and what are your thoughts on them? Do they offer a potentially promising solution? Why or why not?